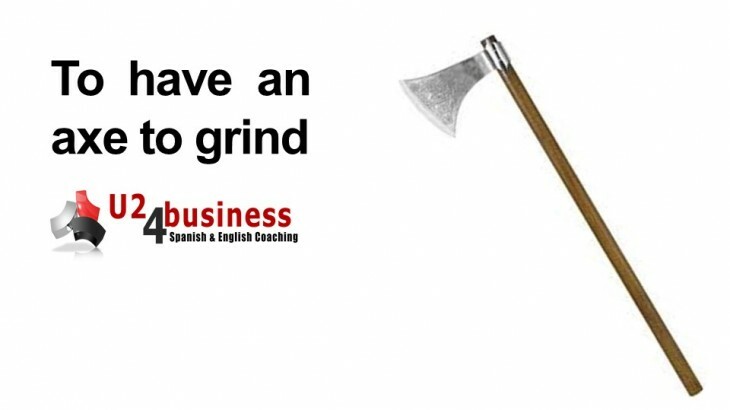 To have an axe to grind. 1- To have an opinion you want other people to accept. 3- To have a hidden plan. These guys have no political axe to grind – they just want to save the planet. ACTIVITY. Can you come up with three examples for this expression? Leave your three answers as a comment and share this post. Idioms, U24BUSINESS aprender inglés, aprender inglés rápido, clases de inglés, clases de inglés a empresas, cómo se dice en inglés, idiomas, inglés, inglés de negocios vocabulario, inglés gratis, inglés online, posts en inglés, YouTooForBusiness. permalink.